It’s very easy to customize your twitter profile with any pattern from DinPattern. Here’s how to do it in a five easy steps. Step 1: Download your favorite pattern. Download and unzip any pattern to your desktop. 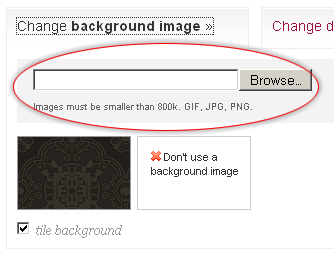 The settings link is located in the upper-right toolbar of your home page. Step 4: Browse to and upload your pattern. Step 5: Click “tile background” and Save Changes. Make sure the “tile background” checkbox is selected under your pattern preview and click “Save Changes.” That’s all there is too it. Give twitter a few seconds to refresh and you should start seeing your new background. Enjoy!